“Extending the grid is very expensive. There are many communities — most, actually — where extending the grid is a net present value losing proposition. 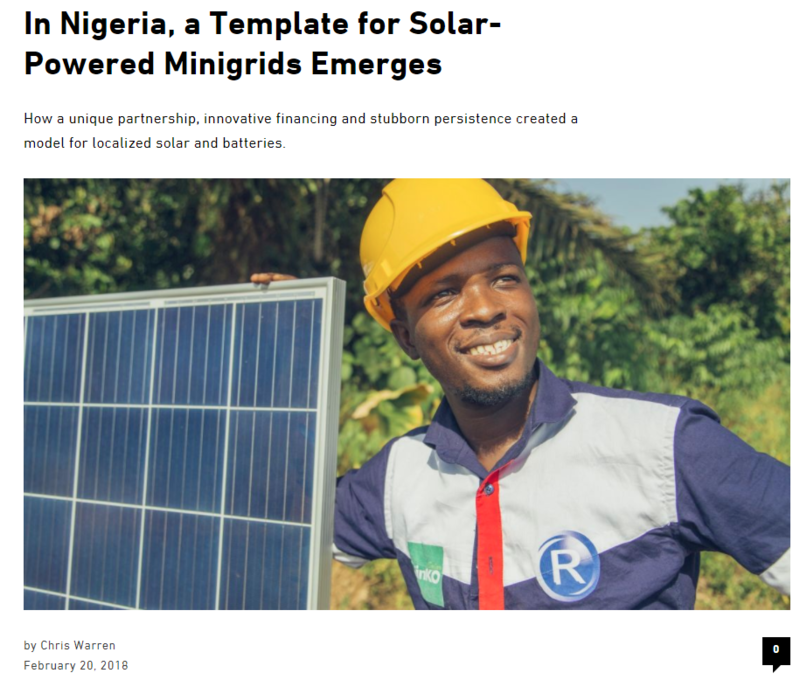 You will never get enough money out of these communities to justify doing this,” says Javier Betancourt, the chief of party for the USAID-funded Renewable Energy and Energy Efficiency Project (REEEP) in Nigeria, which is being implemented by the U.S.-based NGO Winrock International. “You can’t electrify everybody using the grid or large-scale generation. The best solutions are minigrids. This is the future. But there needs to be a template in Nigeria for how this is going to evolve,” says Betancourt. Devising and implementing a replicable template has been the core mission of REEEP since its launch in 2013. The challenges and roadblocks have been daunting.